You will live in a student residence, which is conveniently located within easy reach of stores, restaurants and public transport options that connect you with the heart of downtown, your school buildings, and the AIFS office. Typically, two AIFS students share a room that is connected to small kitchen facilities and bathrooms that are shared with another room (housing AIFS students). The reception area in the dorms is open 24 hours a day. The facilities are monitored by security staff. Please note that the student residences are not located in the Old Town but rather in a residential area within reasonable transit time to the buildings and areas significant to your interest. AIFS strives to offer students with an immersive cultural experience. Living in a residential area outside of the Old Town, just like a typical Prague inhabitant, will allow you to see and experience the city in the eyes of a true local. 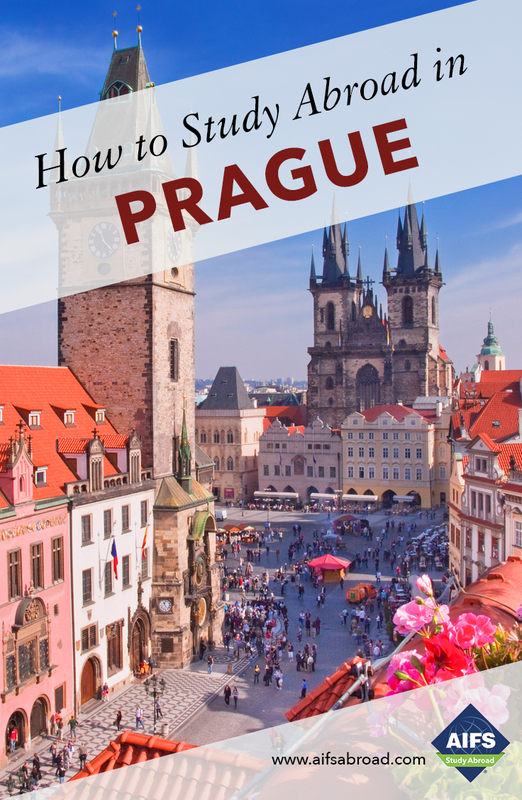 You will be given a meal allowance worth $1,000 to subsidize the cost of purchasing meals and groceries which students find a great help when managing their living costs in Prague. The meal allowance is intended for use in local Czech restaurants and the University cafeteria or to purchase food to cook meals in the student residence. Students may opt out of the meal allowance and pay a reduced program fee of $11,495. Students who wish to arrange their own housing should contact their AIFS Admissions Officer before the program payment deadline for further information on Prague housing agencies and to find out the value of the program fee rebate. All AIFS Prague students receive a cell phone with starting credit or a Czech SIM card for use while in Europe and a travel pass for use on Prague’s excellent public transport system. Interested students should contact the Resident Director directly once they have been accepted into the program. Dobry den! I have been working with AIFS in various locations since 2010. Now, I call Prague my home. Originally from Berlin, Germany, I received an MA degree in British and North American Studies from Potsdam University. As an exchange student, I spent a year living in the USA, where I acquired first-hand knowledge of the life and culture in America. In my free time, I enjoy hiking, baking, the cafés and galleries of Prague, and traveling. You will find me in the AIFS office, right in the center of Prague, a short walk from the University classroom buildings and the main attractions of the city. Prague is a beautiful city that has something for everyone with its amazing architecture, cafés, and variety of art, music and history. I look forward to helping you make the most of your time in this magical place.